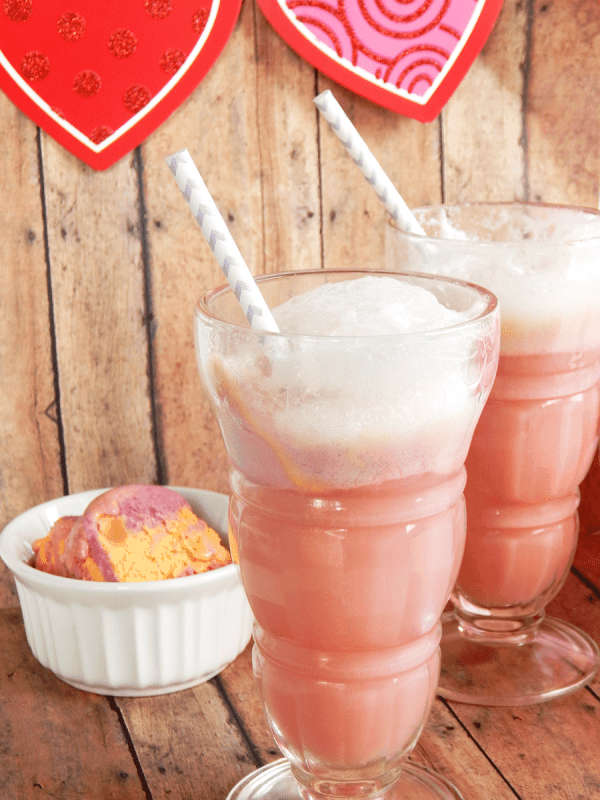 An easy sherbet punch recipe is great to have on hand. With just two to three ingredients, you can whip up a fun punch in no time at all. This punch has no booze, so it’s perfect for all the guests. The pretty pink color makes it fabulous for Valentine’s day, wedding showers, baby showers, or any occasion. 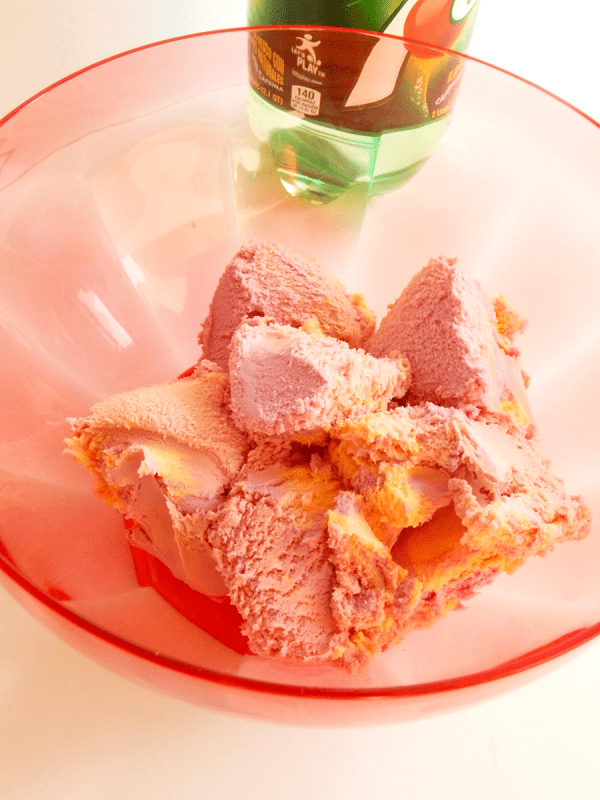 In a large bowl scoop in your rainbow sherbet. 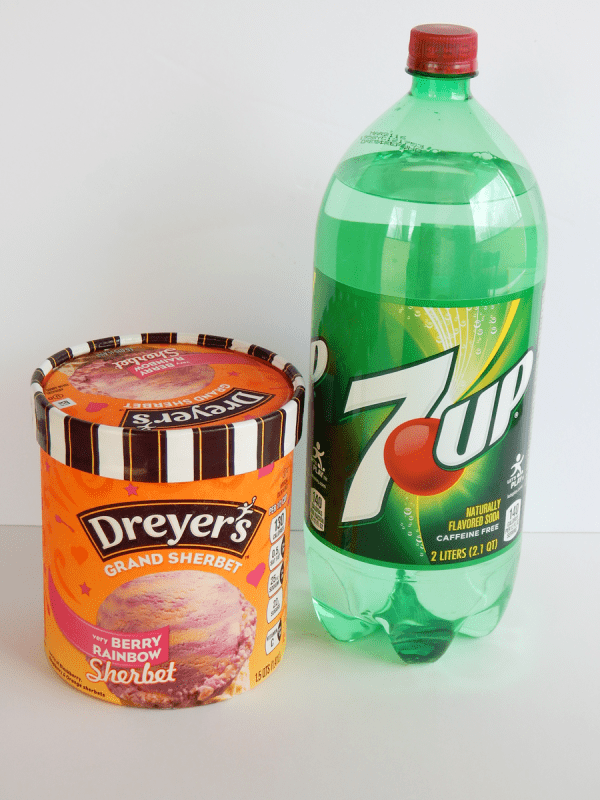 Pour 7UP over the sherbet and break it apart gently. Serve in tall glasses with a dollop of whipped cream. 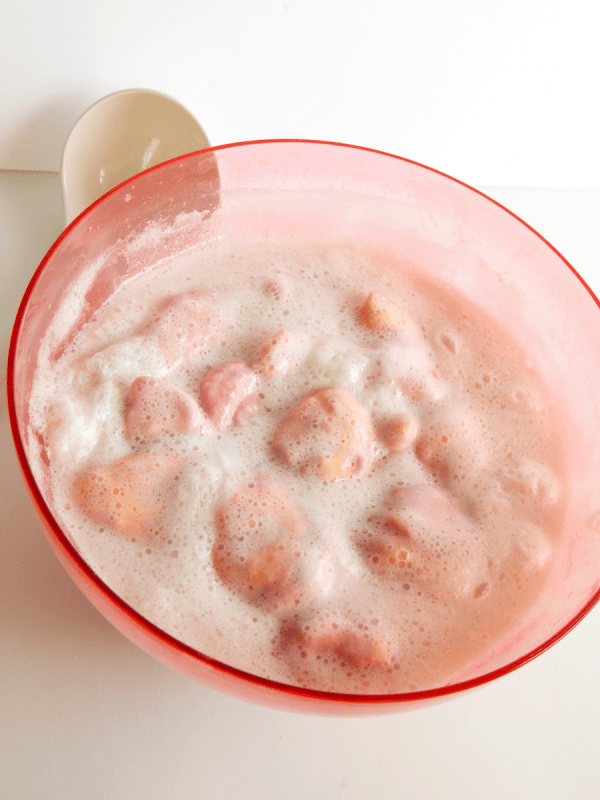 Seriously, that’s such an easy sherbet punch recipe and almost impossible to mess up. People love it, too. I remember at my wedding shower my Gram kept going back for more punch. Thank goodness it wasn’t spiked! She just loved it so much. The kids all enjoyed it, too. It’s tasty, slightly sparkling, and fun to drink. I used to get so excited if there was punch at an event. I thought it was some elaborate recipe that someone slaved over. Had I known it was this easy, I’d probably make it on any old Tuesday for the heck of it. You better believe I’m making it for our next girls’ night in and our next date night. Who knew party punch was so easy to make? 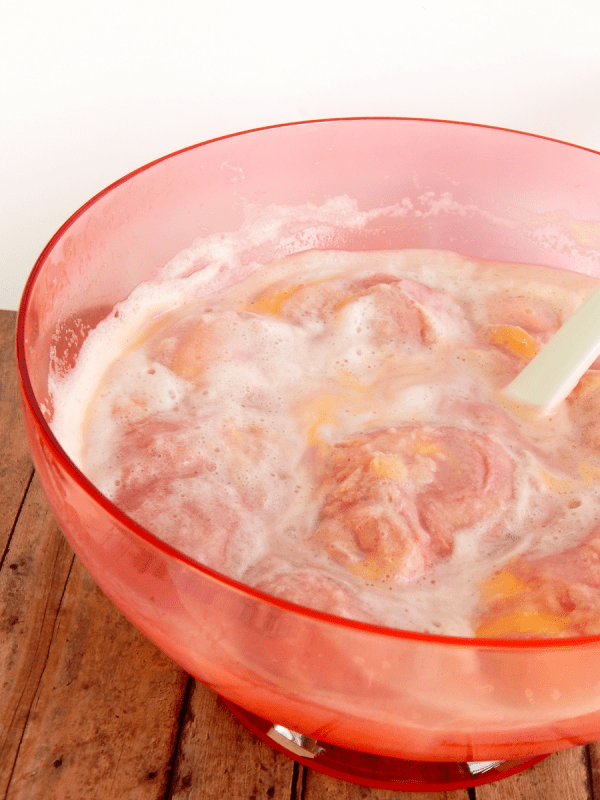 Delight your guests with this easy sherbet punch recipe. Please share this punch recipe with family and friends. Pin it to save for later! If you make it, please tag us or come back to leave a comment about how it was. When’s the last time you had punch? Did you know punch was this easy to make? 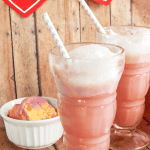 Surprise your sweetheart with this easy sherbet punch recipe on Valentine’s day! I like sherbet punch in all flavors. This looks like a good combination. 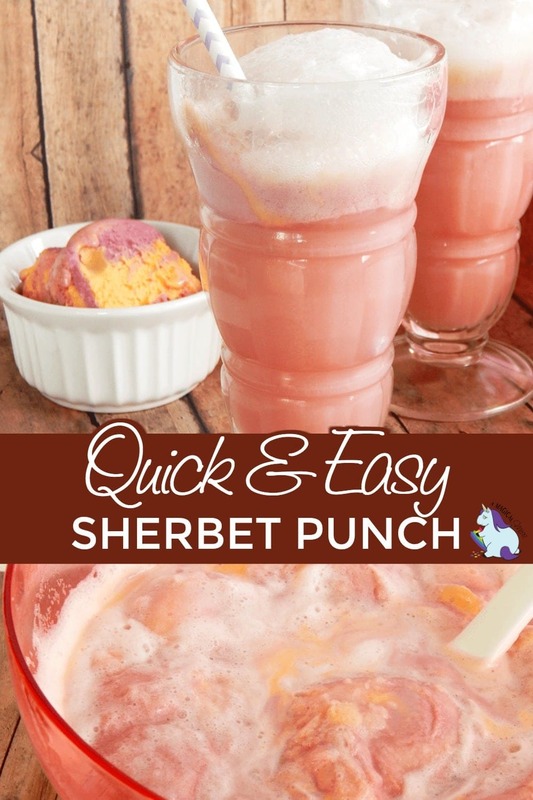 That Sherbet Punch looks so good. Easy to make and looks good. I would love to make at my family dinners.